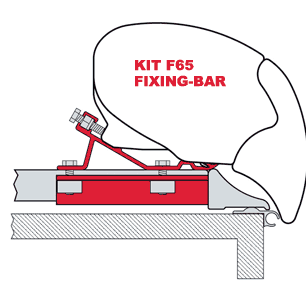 Motorhome awning installation kit for F65 and F65 S awnings. Suitable for installing the Fiamma F65 awning to the motorhome roof bars. Suitable for roof bars max. : 4 (W) x 2.3 (D) cm.